Can I Quit Cold Turkey? Is it Dangerous? How Hard Is It to Quit Tramadol? Tramadol is a prescription opioid medication that is commonly used to manage moderately severe pain. While once thought to have minimal abuse potential, in recent years the drug has become increasingly abused, with some people developing an addiction to it. Improved personal relationships. Substance abuse affects personal relationships 1 so it’s likely that any person with a tramadol addiction will significantly begin to improve his or her relationships by quitting. Personal relationships based solely on substance abuse tend to not be very durable and often disintegrate once someone stops using the drug. People in recovery often find that their “drug buddies” are not true friends. Improved career or occupational opportunities. Another hallmark symptom of a substance use disorder is its negative impact on career or occupational goals and opportunities. 1 Negative effects on the job can include reduced productivity, increased absences or simply not caring about performance or relationships at work. A person who quits using tramadol will likely find that work performance and career opportunities will improve during ongoing recovery. Improved finances. Drug habits are expensive. Even if the person obtains tramadol for free, the positive effects on job performance as a result of quitting will probably lead to improved financial status down the line. Reduced risk of early mortality. People with ongoing substance use disorders are more likely to have shorter life spans than people who don’t abuse drugs. 3 There’s no guarantee that one will live longer by quitting, but stopping drug abuse will increase one’s potential lifespan. Increased emotional and psychological functioning. Opioids may blunt emotional experiences, with the result being that the user may have difficulty experiencing genuine emotional highs and lows. Over time, the drug might also induce feelings consistent with psychological disorders such as depression. 2 As addicts begin to recover from abusing these drugs, they start to experience the full range of human emotions again. Assistance from experienced, trained professionals. Empirically validated methods to assist in the recovery process. Access to both psychological treatment and medical management of withdrawal symptoms, which can decrease the risk of relapse. A better chance for long-term success by addressing the issues that drove the substance use disorder. Inpatient treatment: These are programs in which the person remains in a clinic, a hospital or another residential setting.Inpatient treatment may provide medical services for particularly difficult health issues such as severe withdrawal symptoms and/or mental health problems. People with severe addictions may find this option the most effective. Sober living environments: These are interim facilities that can be used between initial rehab or detox programs and returning home. They offer supportive, safe havens for people to live in while they are in the early stages of recovery. 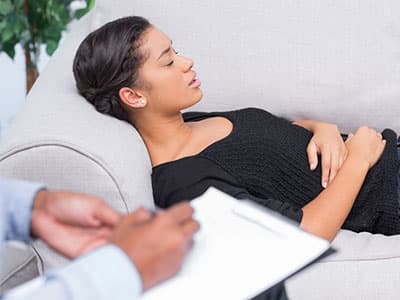 Outpatient treatment and counseling: These programs provide a treatment center or clinic location for therapy and support during certain times of the day. People in these programs do not live at the facility. Group counseling: A recovering user joins a group of people with similar issueswho work with a professional therapist. Being part of a group offers advantages, such as learning from others and feeling less alone. Individual counseling: The user works one-on-one with a therapist. Collaboratively, the user and therapist explore drug addiction and recovery issues in-depth. 12-step programs: These are support groups that do not employ professional therapists. Instead, the leaders have overcome drug or alcohol addictions. Twelve-step programs have a specific outline for recovery that many people find useful. Aftercare programs: These treatment options are used once the person has completed his or her initial recovery program. Aftercare programs help address long-term issues that recovering individuals inevitably face, and they can decrease the potential for relapse. Withdrawing from tramadol is not usually life-threatening. However, people who are undergoing withdrawal may be at a higher risk of relapse. Strong cravings to use tramadol. Tingling or numbness in the extremities. If you or someone you know develops these severe withdrawal symptoms, seek medical attention immediately. How tramadol was abused. People who snort or inject tramadol will likely experience more complicated withdrawal symptoms than those who take it in pill form. The length of time tramadol was abused. People who abuse the drug for an extended period of time will typically experience longer and more severe withdrawal effects. The amount of the drug that was taken. Higher doses of tramadol lead to prolonged and more intense withdrawal symptoms. Relapse due to strong cravings. Potential self-harm due to accidents. Suicidal ideation as a result of severe negative symptoms. Even though the withdrawal process from tramadol is not as intense as it is for other opioid drugs such as heroin, it may be quite unpleasant. In some cases, a medically assisted detoxification program can help to dampen the effects of withdrawal, lessen cravings and address severe withdrawal symptoms. Addressing any substance use disorder requires a specific plan of action to account for any complications that may arise during the recovery process. This would be extremely difficult to do alone. Enlisting the assistance of a professional recovery treatment program can help promote a safe, successful recovery. Further, just going through detox or withdrawal is not enough to ensure continued success in recovery. People in recovery from substance use disorders need to address the issues that drove their substance use, prepare themselves for potential relapse triggers and put a long-term recovery plan in place. Understanding the benefits of recovery can increase one’s motivation to succeed. Detox is only the first step. A person trying to quit needs a long-term recovery plan to be successful. People recovering from substance use disorders are far more successful in the long run if they participate in professional treatment. 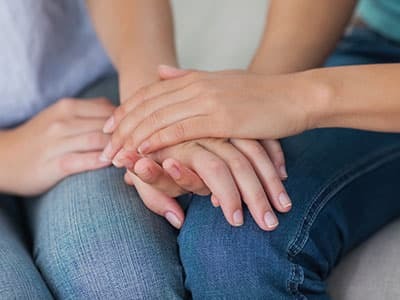 Having a good support group such as a 12-step program, co-participants in group therapy, family members and drug-free friends also increases the potential for success in recovery. Recovery is never easy. Everyone in recovery experiences triggers and temptations to relapse, so it’s important to be prepared for them. It’s difficult to watch a friend or a loved one with a substance use disorder try to carry on as if nothing is wrong. Despite the negative consequences of abusing a drug such as tramadol, many abusers do not recognize their situation. However, approaching the person in a hostile or confrontational way can make the problem worse. Share an experience in which the person’s substance abuse was clearly evident and affected your relationship. Be caring, genuine and concerned for the individual. Communicate the fact that you want to help. The goal is for the person to consider treatment based on documented situations that you present to illustrate different reasons that his or her substance use disorder is harmful. It can also be extremely helpful to enlist the aid of an interventionist, professional therapist or an experienced member of a 12-step group who can help approach a loved one with a problem. Attempt to confront the user with his or her problem. Use the words “addiction” or “substance abuse” when you approach the person. Quitting tramadol cold turkey has potential dangers. Cravings and relapse. Additionally, someone undergoing the withdrawal process will probably experience strong cravings to use the drug again to alleviate painful symptoms. Enrolling in a medically assisted detoxification program can help someone avoid these complicationsand also avoid experiencing the extreme discomfort that may occur during the withdrawal process. Because of the potential for relapse involved in all types of substance use disorders, quitting tramadol is never an easy task. Recovery is a complicated process that requires assistance, support, motivation and a willingness to remain committed to quitting despite all the obstacles that will inevitably occur. If you are concerned that you or a loved one has a problem with tramadol abuse or addiction, please call us toll-free, 24 hours a day at 1-888-319-2606 Who Answers? .
. Doweiko, H. E. (2011). Concepts of chemical dependency (8th ed.). Pacific Grove, CA: Brooks/Cole Publishing.
. Whiteford, H. A., Degenhardt, L., Rehm, J., Baxter, A. J., Ferrari, A. J., Erskine, H. E., & Vos, T. (2013). Global burden of disease attributable to mental and substance use disorders: Findings from the Global Burden of Disease Study 2010. The Lancet, 382(9904), 1575-1586.
. Wikler, A. (2013). Opioid dependence: Mechanisms and treatment. New York, NY: Springer Science & Business Media.